LOUISVILLE, Ky. (March 21, 2019) – Being behind the curtain working a performance’s production often keeps crew members behind the scenes. 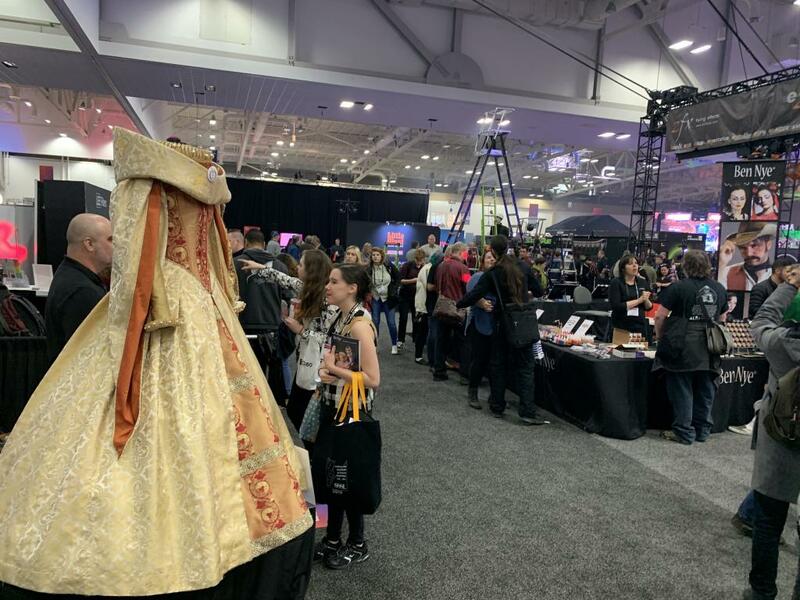 However this week many of these entertainment industry crew members are on the forefront as they congretate in Louisville to attend the United States Institute for Theatre Technology’s (USITT) 59th Annual Conference & Stage Expo. This annual meeting brings more than 5,000 members of the technical production and live entertainment industry as well as plenty of action to the Kentucky International Convention Center, March 20-23, 2019. Locally, USITT19 is expected to have a direct impact on nearly 1,150 jobs in the region and an indirect impact on an additional 350 jobs. Registration and event schedule can be found by visiting www.usittshow.com. For press inquires contact Jenn Shuron, jenn@usitt.org, (m) 315-751-4032 or Mark Blackmon, mark@usitt.org, (m) 765-993-5296. For those planning a visit to the area, Louisville Tourism provides several planning resources, including suggested itineraries at GoToLouisville.com/myexperience, a free Louisville Visitors Guide, searchable list of events at www.gotolouisville.com, and complimentary hotel booking service via 1-888-LOUISVILLE.